On August 24, 2016, Governor Andrew Cuomo signed Chapter 286 of the Laws of 2016 which amends the State’s ethics laws. The legislation is not a transformational game changer in the ethics arena, but does make significant changes in the State’s laws. The new law vests the Attorney General with authority to disclose sources of funding for various not-for-profit entities, expands the disclosure of all sources of funding by those engaging in lobbying, and codifies certain process rights that could have a profound impact on the ethics climate in New York State. The amendments will impact how the Joint Commission on Public Ethics (JCOPE) regulates lobbying and public ethics. This article examines fundamental changes to the Public Officers Law, Legislative Law (Lobbying Act), and Executive Law and their impact on the regulation of public ethics in New York State especially by JCOPE. The new law adds professional political consultants to the category of persons who must register with the Department of State before practicing their profession. Political consultants provide political advice to persons who hold or who are seeking elected office. Political consultants before did not have to register unless their professional activities as a lobbyist triggered a requirement to register. Registration by a political consultant is now required even if the political consultant does not charge the client so long as the political consultant is providing services for which the consultant is usually compensated. Lawyers providing traditional legal advice are not “political consultants” under the new law so long as they only provide bona fide legal advice related to various aspects of the election laws. The statute carves out such legal services as securing a place on the ballot, the petitioning process, the conduct of the election itself or litigation related to these services. Political consultants, once registered, must disclose information concerning their clients. Items that must be disclosed are the names and other identifying information about each client, and a brief description of the nature of the political consulting services provided. The Secretary of State will prescribe the form for disclosure. Once up and running, the Secretary of State is required to make the filings public on the Secretary’s website within 30 days of the end of each six month reporting period. A political consultant who fails to register may be fined up to $750. The new law does not change JCOPE’s oversight and jurisdiction over lobbyists who are also political consultants. All of JCOPE’s requirements continue; the requirements that the new law places on political consultants are in addition to those required under other ethics laws. The new law addresses a portion of an earlier JCOPE advisory opinion. Among other things, JCOPE’s Advisory Opinion 16-01, issued on January 26, 2016, required that lobbyists and their clients disclose sums spent on contacting a member of the media when that contact was part of lobbying activity. The new law removes from the definition of lobbying contacts by lobbyists with “professional journalists” and editorial writers, as defined in the State’s Shield Law codified as Civil Rights Law Section 79-h. Contacts with members of the media covered by the Shield Law now do not constitute lobbying and do not need to be reported. JCOPE’s Advisory Opinion 16-01 still applies to communications with non-professional, non-traditional media such as bloggers and social media and otherwise is still in effect. 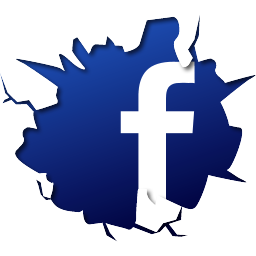 JCOPE anticipates addressing issues involving social media and other lobbying-related matters in the context of future promulgation comprehensive lobbying regulations. The new law expands the category of lobbyists who will have to disclose and make public their sources of funding. The new law will especially impact not-for-profit 501(c)(3) and 501(c)(4) corporations. A 501 (c)(3) is a not-for-profit entity that is barred from engaging in most political and legislative activities although it can participate in nonpartisan educational and participation activities. Most charities where donations are tax deductible are 501(c)(3) corporations. A 501(c)(4) not-for-profit may engage in some, non-candidate specific political activities (often “political action committees” known as PACs are such corporations) and may lobby for legislation essential to its educational or social welfare mission. Donations to such entities are not tax deductible. Every entity that: (1) must register in New York State because it lobbies on behalf of itself or pays a lobbyist, and (2) spends more than 3% of its total expenditures and greater than $15,000 on lobbying (reduced from $50,000) in New York, must disclose each source of funding greater than $2,500 (reduced from $5,000) to JCOPE. Although there is an express carve-out for disclosing the amount of membership dues and fees, individuals or entities that pay such amounts greater than $2,500 must still be identified. The most profound impact of the new requirements may be felt by 501(c)(3) corporations. Previously, a 501(c)(3) corporation was never obliged to disclose its sources of funding. Now under the new law, certain conduct by a 501(c)(3) mandates disclosure of the names of contributors. A report to the Attorney General is now required when a 501(c)(3) that is a registered client of a lobbyist, or is registered to lobby on its own behalf, makes an “in kind” transfer including money in excess of $2,500 to any 501(c)(4) corporation for any purpose—lobbying or not. The 501(c)(3) must report the names each of its contributors of more than $2,500 to the Office of the Attorney General. The report goes to the Attorney General and not to JCOPE. The Attorney General determines whether disclosing a source “may cause harm, threats, harassment, or reprisals to the source of the donation or to individuals or property affiliated with the source of the donation.” If the Attorney General finds that such harm may result, the source will not be disclosed. If the Attorney General finds that no harm will result from disclosure, the Attorney General will provide the names of the funding sources for public posting to JCOPE, the repository for the names of all other sources of funding. Section 501(c)(4) corporations also may have increased reporting requirements. The trigger for the new reporting requirement occurs when the 501(c)(4) corporation communicates with 500 or more members of the public to advocate for an outcome or a decision by an elected official or governmental body, and the corporation spends more than $10,000 on such activities. Excluded from the 500 number are members of the organization or those who have given their consent to receive messages from the corporation. If the trigger threshold is reached the corporation must disclose to the Attorney General names of its contributors who contribute more than $1,000. The Attorney General must publish the names of contributors on a website, although the Attorney General may redact after a finding of harm similar to the finding he could make with respect to the names of contributors to 501(c)(3)s.
The State Administrative Procedure Act (“SAPA”) has always governed JCOPE’s adjudicatory procedures. The new law not only beefs up some of the procedures JCOPE follows pursuant to SAPA, but alters current practice. The new law amends the Executive Law to add additional content to the 15-day letter. The new letter must now not only describe the possible violations, but must describe evidence, if any, supporting such allegations. JCOPE can redact any information that might prejudice the complainant or the investigation. The recipient of a 15-day letter would then have the opportunity to respond in writing and submit “any evidence, statements, and proposed witnesses.” The opportunity to include evidence was never denied to recipients, but is now explicitly granted. Before the amendments, JCOPE voted whether to commence a full investigation within 45 calendar days after JCOPE received a complaint or a referral, or had initiated an investigation on its own initiative. The legislature, at JCOPE’s urging, extended the period to 60 calendar days. The new law has also changed JCOPE’s practice with respect to the Notice of Substantial Investigation. Before the recent amendment, JCOPE sent a written Notice of Substantial Investigation to the respondent informing the respondent that JCOPE had commenced an investigation. The Notice gave the respondent 30 days to submit a written response and stated that JCOPE could issue a Substantial Basis Investigation Report which would be made public within 45 days of its issuance. Under the new law there will be a single “Notice of Substantial Investigation and Hearing” which will include, among other things, the factual basis for the allegations, but not conclusions of law. In addition, the amendments require that, at least seven days before a hearing, JCOPE must provide the respondent any additional evidence not previously given to them. The recommended conclusions of law will be produced after a hearing. Thus, the law restates JCOPE’s long standing practice, consistent with SAPA, of affording respondents an opportunity to appear, present sworn testimony and evidence and utilize an attorney in a hearing before a neutral hearing officer. The hearing and its timing, however, are altered. Before the new law, JCOPE did not treat a Substantial Basis Investigation Report as a final adjudication, but as a fairly complete charging document and gave the respondent a right to a public hearing to contest it. The matter would be heard before a hearing officer who would make findings of facts and recommendations. Ultimately the determination as to whether the law had been violated was vested with JCOPE. 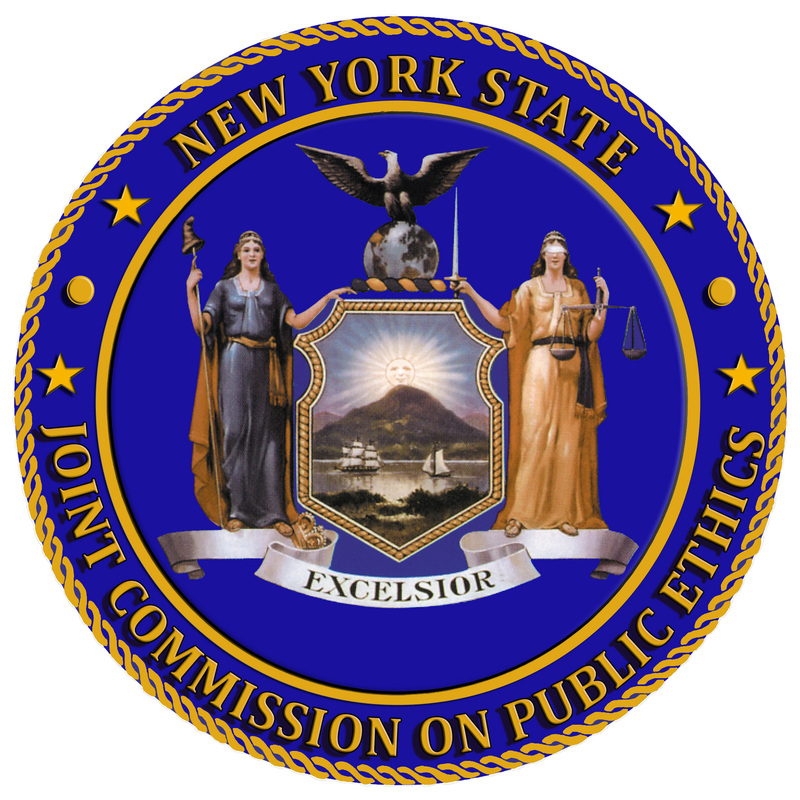 If an individual were subject to the jurisdiction of the Legislative Ethics Commission, JCOPE would transfer the matter to the Legislative Ethics Commission following the issuance of a Substantial Basis Investigation Report for final determination and disposition and for making the report public. But there was an apparent anomaly in the law. It was unclear whether JCOPE could even offer a hearing to legislative employees and legislators because the ultimate punishment in those cases would be determined by the Legislative Ethics Commission. The new amendments put that issue to rest. Every respondent—including legislators and legislative employees—will be entitled to a hearing to contest all findings of fact before JCOPE issues a final Substantial Basis Investigation Report. Thus, the Substantial Basis Investigation Report is transformed from a charging document into a final administrative adjudication. There will be greater secrecy with respect to all hearings. Before the recent amendments, JCOPE exercised its discretion and authorized hearing officers to conduct hearings in public. Under the new law, all hearings must be closed to the public. This conforms to the practices of the New York City’s Conflict of Interest Board and New York State’s Commission on Judicial Conduct. A Substantial Basis Investigation Report, if approved by the Commission must still be made public. JCOPE will also be required to notify the respondent and complainant within 15 days of its decision to close an investigation. JCOPE has published on its website its new hearing and meeting guidelines in accord with the new law. JCOPE, at its August 9, 2016 meeting, promulgated emergency regulations to begin implementing the changes in the law. Those regulations are available on JCOPE’s website and appeared in the New York State Register of September 14, 2016. While JCOPE’s adjudicatory proceedings have always been expressly subject to SAPA, JCOPE has not been obligated to promulgate regulations pursuant to SAPA. JCOPE’s proceeding must still provide due process and be “substantially similar” to those procedures afforded under SAPA. As in the past, JCOPE has voluntarily subjected its rulemaking to the strictures of SAPA. JCOPE’s regulations give parties the right to respond to a hearing officer’s proposed findings of fact and recommendations within 30 days of their issuance. In addition, JCOPE staff must submit a proposed Substantial Basis Investigation Report based on the hearing officer’s findings to JCOPE which has 60 days to adopt either in whole or in part, remand or dismiss the hearing officer’s findings and recommendations. Also incorporated into the new regulations, are the existing regulations governing appeals of denials of requests to delete or to exempt information pursuant to Public Officers Law § 73-a and appeals from denials of applications for exemptions from disclosing sources of funding. The emergency regulations also effectuate the new law’s mandate that sources of funding be disclosed irrespective of when contributions were made. They require that the sources of funding be disclosed at the next point in time when such obligation to disclose arises which would be the filing period terminating in January, 2017. JCOPE may impose a civil penalty of the greater of $10,000 or the value of a fee received for violating the statutory bar on contingency fee agreements between lobbyists and clients. Previously, there had been no civil penalty. The new law also effectuates some minor conforming changes and gender references to the financial disclosure statement that Public Officers Law § 73-a mandates, but which do not become effective until 2018, when financial disclosure statements for calendar year 2017 are filed. By: Seth H. Agata, Executive Director of the Joint Commission on Public Ethics.